Close your eyes and imagine your dream home and the accompanying dream yard. What do you see? If you’re like the overwhelming majority of Americans, the vision includes a lush, soft, emerald green carpet of bluegrass. There’s nothing wrong with this picture except that bluegrass is indigenous to high-rainfall, rich-soil areas, and if you don’t live in one of these areas, you’re going to spend a lot of time and money watering, fertilizing and maintaining your lawn. So what, you say? 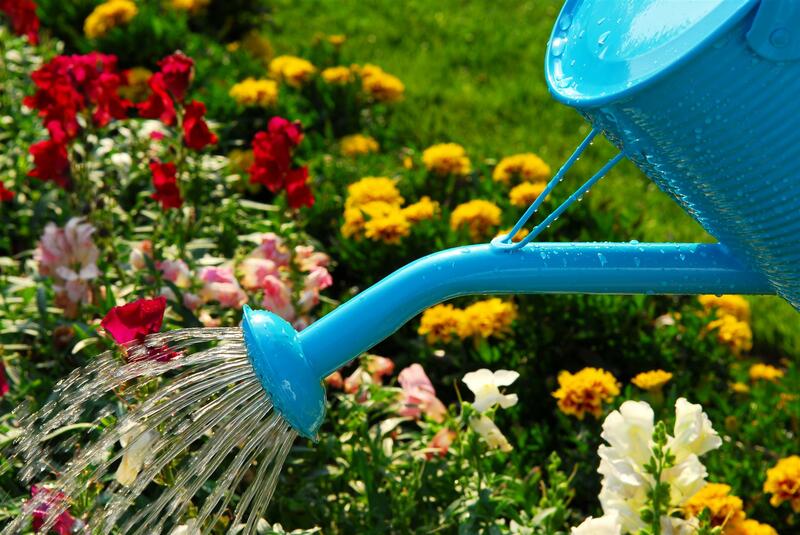 Consider this: according to the Texas Agricultural Extension Service, urban areas use between 25 and 37 percent of their water supply for landscape and garden watering. Fortunately, there is an alternative. It’s called Xeriscape (xeros is from the Greek, meaning dry) and the term was coined in Denver, Colo., in 1978. The official definition is “an attractive, sustainable landscape that conserves water and is based on sound horticultural practices.” Like most of the United States, Colorado is a less-than-ideal environment for bluegrass – not much rainfall, hard clay soil and high altitude. So the idea came about: what if we landscaped with plants and grasses that were more suited to the area, wherever it is? Perhaps you’re thinking, well, if that’s the case, then I might as well let my yard go to kudzu/bindweed/leafy spurge. But Xeriscape utilizes attractive and useful plants, grasses, flowers and trees, not the local weed population. So if you’re interested in conserving water, helping the environment, decreasing maintenance time and saving money, read on. 1. Plan and design comprehensively: A good place to start is to map out your yard, noting sun exposure, topography (hills and dales, where water will collect), soil quality and existing vegetation. If you are completely clueless about native plants, give your county agriculture extension agent a call, visit a nursery or go to the library. At the end of this article is a list of helpful books. 2. Evaluate soil and improve if necessary: How do you evaluate soil? Again your extension agent can help, as well as written resources. Improving the soil can include fertilization, aeration and mixing in sand and compost. The goal is to maximize water penetration and retention. 3. Create practical turf areas: This is where grass comes in, but ideally you’ll use native grasses in multiple smaller areas. This enables you to water them more efficiently and reduce water use but still have a recreation area. 4. Use appropriate plants and group according to their water needs: The good news: most plants have a place in Xeriscape. The trick is to group plants with like water needs to allow for maximum water conservation. Ideally, you’ll choose mostly low-water plants. 5. Water efficiently with properly designed irrigation systems: The irrigation system should be well planned and managed, with turf areas irrigated separately. Since water needs change with the season and the weather, irrigate according to the condition of the plants, rather than on a fixed schedule. Plants may require supplemental irrigation until they become established in two or three years. 6. Use organic mulches to reduce evaporation: This is key to successful Xeriscape. Mulches minimize evaporation, reduce weed growth, slow erosion and soil compaction and help prevent soil temperature fluctuations. Organic mulches such as pine bark, compost and woodchips, or inorganic materials, such as lava rock, limestone or permeable plastic are best. The use of any solid plastic under the mulch or elsewhere in the landscape is a no-no since it is not environmentally friendly – and is much less effective than the mulch itself. 7. Practice appropriate maintenance: Xeriscape, while low maintenance, is not the same as maintenance free. Effective use of Xeriscape requires a commitment to appropriate pruning, weeding and fertilization, plus attention to the irrigation system. The benefits of Xeriscape are many, and water conservation tops the list. Most people don’t realize that there is a proper procedure to watering vegetation and just set out a hose or turn on the sprinkler system according to an arbitrary schedule. But the truth is that much of the hundreds of thousands of gallons of water used in yards is never absorbed. Some water is lost to runoff by being applied too rapidly, and some water evaporates from exposed, unmulched soil; but the greatest waste of water is applying too much too often. You probably didn’t realize that the way you water your yard has an effect on the environment at large, and that the problem is more serious than overwatered grass. Excess irrigation can leach nutrients deep into the soil and away from plant roots, increasing the chances of polluting groundwater. Likewise, runoff caused by overwatering can carry polluting fertilizers and pesticides to streams and lakes. Proper watering techniques can eliminate these dangers. The bottom line: you can reduce your outdoor water use by as much as 50 percent using Xeriscape – which will offset the initial cost in three years or so. Landscape maintenance is often the bane of the homeowner’s existence. Xeriscape can decrease maintenance by as much as 50 percent, thanks to less mowing, bagging and disposing of grass; yearly mulching, which decreases weed growth; elimination of high-need, unadapted plants; and more efficient watering techniques. Xeriscape is not only an attractive landscape alternative, but one that is environmentally responsible as well. But for most homeowners, the lower maintenance and water costs make it a win-win choice.